It is always exciting to see the works of African designers get the glory they deserve on the global stage. One of our Ladybrille design labels to watch, Maki Oh, just got such global attention when The First Lady of the United States, Michelle Obama, rocked a Maki Oh Adire ‘Tally’ print shirt during her recent trip to South Africa. The ‘Tally’ shirt made its debut at the brand’s Spring/Summer 2013 collection and as the designer explained then, the shirt was constructed by taking adire ‘tally’ prints and hand-painting them onto silk chiffon panels. Congratulations to the Maki Oh on the continued global spotlight. 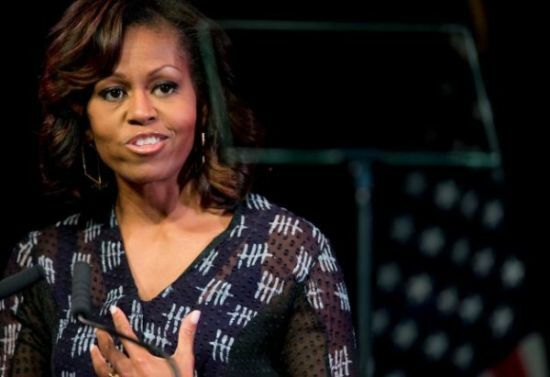 Michelle Obama continues to show an interest for the works of emerging and minority designers in general. She has worn the designs of Jason Wu, Duro Olowu and Bunmi Koko, to name a few. Check out some pictures and watch the video of her session with South African youths in the Maki Oh shirt.